While preparing for the upcoming mini-debconf Paris, I noticed that we don’t have any good presentation template for OpenOffice.org Impress. 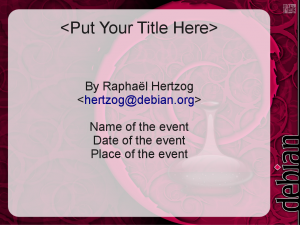 I spent a few hours browsing Debian presentations put online by many speakers and was unable to find one that would suit me. This situation was clearly unacceptable and I decided to spend a few hours to fix this. I selected a very nice wallpaper created by Alexis Younes, used The Gimp to add a translucent white box so that the text can still be read, and combined all this in a OpenOffice.org Impress template. Click here to download the template. You can also get the Gimp XCF file for the background image. 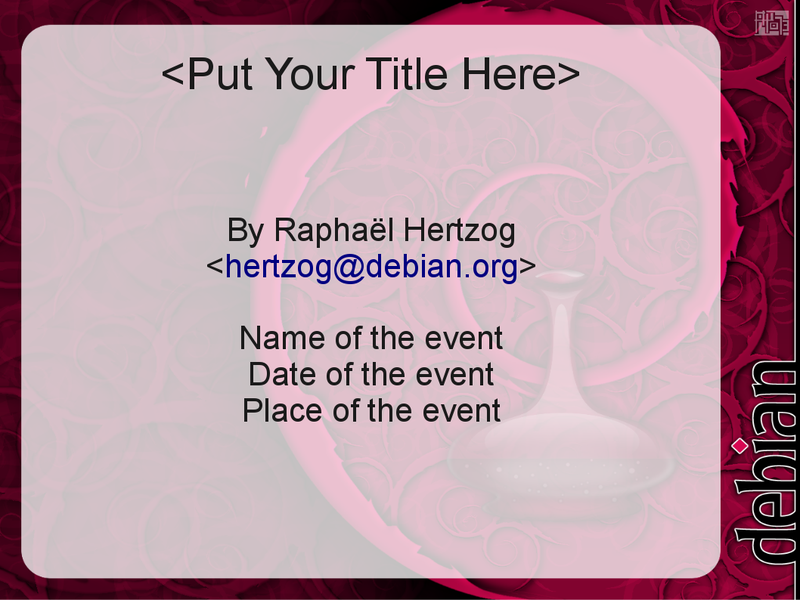 By the way, the same wallpaper has been used by Sam Hocevar to create nice-looking Debian business cards. PS: I contacted Alexis Younes by mail and he agreed to put the wallpapers under GPL-2+. It has been clarified on his webpage. Follow me on Identi.ca, Twitter and Facebook. Wish you has a Web slideshow template. and what about include it in debian OOo installation? Good idea! I will see with the openoffice.org maintainer what he thinks of this. Very, very cool. Good to see some representation in the OOo world. However, I still prefer RST and S5 for all my presentations. Plain text FTW. Before this gets included in a package in main, please consider #587668 and the confusion which results from versions of the “official” logo being put under a free software licence like the GPL. The version of the logo in the template is sufficiently similar to the official logo to at least cause doubt and problems. A business card from a DPL could easily be considered a suitable use of the official logo – a presentation template which includes an official logo packaged for anyone to use is just going to lead to confusion. 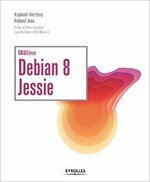 I have honestly no idea whether that “different but similar” usage of a bottle in a Debian related picture is likely to be an infringement of our Debian logo trademark. I’m honestly not worried about this… and I have no interest to spend time on this issue. Since you have contacted the author already, would it be possible to ask him to release “the sources” for this png rendering? Hi Yaroslav, I asked him. I’ll keep you posted. Yaroslav, here’se the tarball with the original Gimp documents provided by the author.